Liz started her career with a passion for journalism and public relations. She graduated from the E.W. Scripps School of Journalism at Ohio University, and was focused on bringing people together and raising awareness for products and services. After working in the marketing and PR world for a few years, she realized there was a better way to generate leads and that’s where Hersh PR and Marketing began. 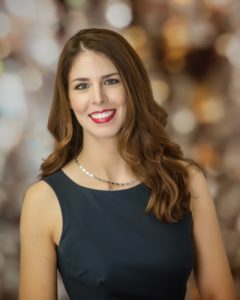 Since founding the firm in 2009, she has created a proven system for business growth that ensures clients are visible when and where they need to be. The company’s media relations campaigns have generated coverage in major media outlets. In addition to targeting traditional broadcast and print publications, she has a strong understanding of new media and how to capitalize on the opportunities presented by social media and blogging. Under her leadership, the company has helped generate business for companies in a variety of industries.